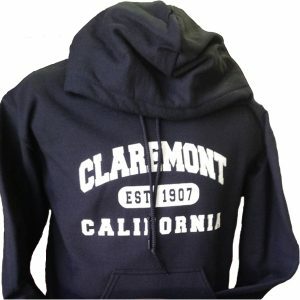 All items are available at The Claremont Chamber office, 205 Yale Ave. Tax included in all prices. 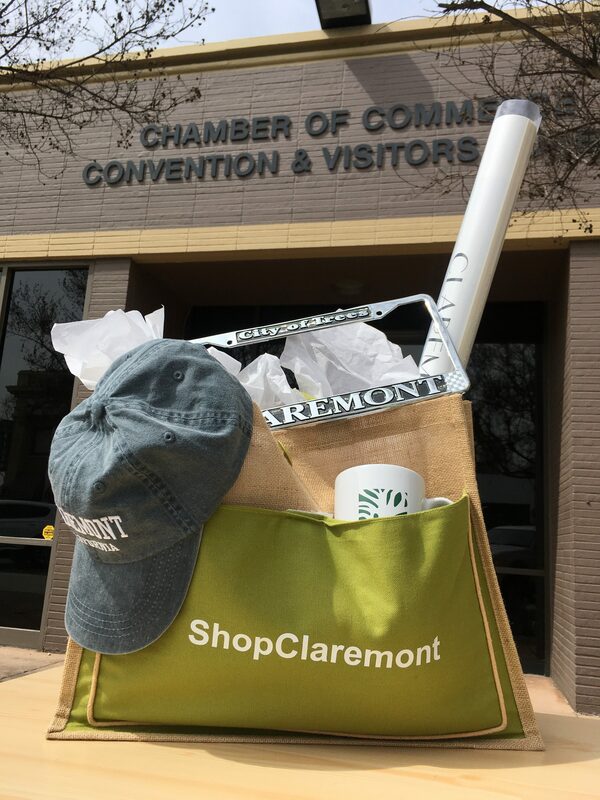 Each bag contains: Shop Claremont Tote, Claremont Hat, Claremont Mug, Claremont License Plate Frame, & Claremont Village Poster. 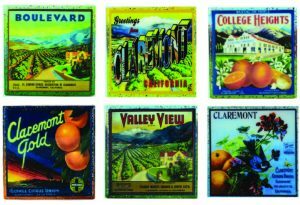 Custom handmade coasters by Stella Divina featuring beloved Claremont packing label styles. Six designs to choose from! Price: $16.50 ea or $54.50 for a set of 4. A stylish addition to anyone's wardrobe! 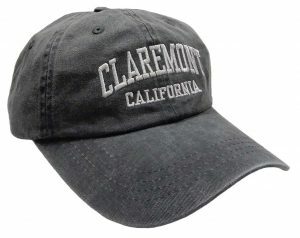 This cap comes in grey with white lettering and is one size fits all. 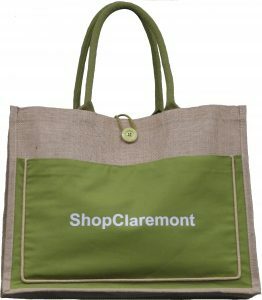 Sturdy Shop Claremont Jute Tote Bag. 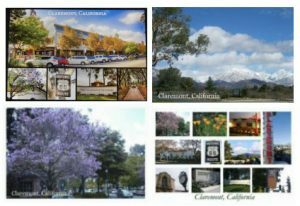 Three views of scenic Claremont. "The City of Trees & Ph. D's"
Our comfy sweatshirt is perfect for all ages! 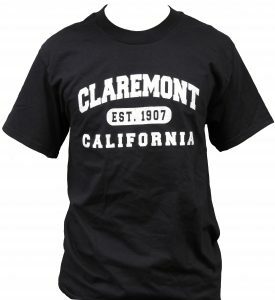 This high-quality product is 50% Cotton / Polyester and comes in Black. Pen and ink print signed and numbered. Views of both "Little" and "Big" Bridges, The Old Schoolhouse, Scripps College and other familiar Claremont views. A delight to own. 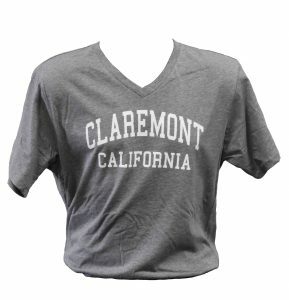 "City of Trees, Claremont" heavy duty chrome standard U.S. license plate.